Thank you to StrideBox for providing the products for today’s giveaway. This post contains affiliate links. Sometimes sticker stores would sell mystery grab bags – for a few dollars, you could try your luck. You might get a handful of Smurf and Garfield stickers. Or you might hit the jackpot with an Oilies unicorn sticker. But that almost didn’t matter. The thing is, the surprise was just as fun as bringing home a handful of cool new stickers. That’s what subscription boxes feel like for me – mystery grab bags. Opening them and looking inside is more than half the fun. 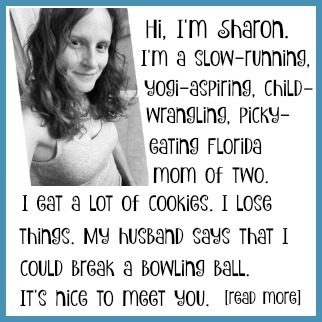 StrideBox is a monthly subscription box for runners – which, at this stage in my life, is way cooler than stickers. Every month, subscribers receive a box full of running gear, accessories, and nutrition products. The folks over at StrideBox sent me a box to review. And I decided to share the opening fun with you in this unboxing video. 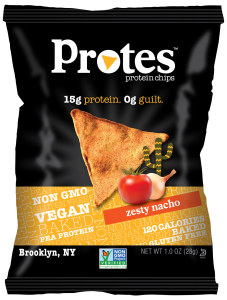 Protes (Zesty Nacho) Protein Snacks: Vegan baked crisps with 15g of protein per serving. Raw Rev Glo Protein Bars (Peanut Butter + Sea Salt): High fiber, vegan bar with 11g of protein. Glukos Energy Drink Powder (Lemon): 12 sticks of instant energy! 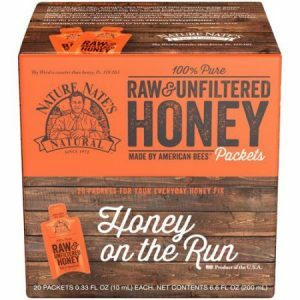 Nature Nate’s All Natural Honey Packets: 100% natural honey in to-go packets – perfect for a run! 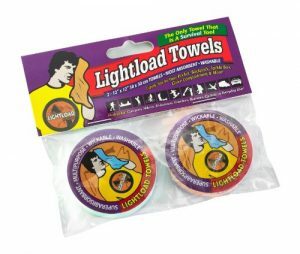 Lightload Compressed Towels: Small enough to fit in your pocket, but with just a few drops of water, it expands to a 12 x 12 inch towel. 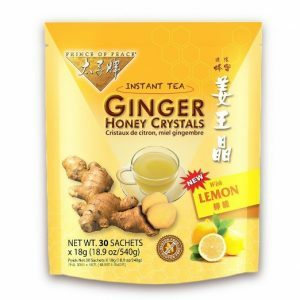 Prince of Peace Ginger Honey Tea Crystals + Candy: An all-natural way to comfort your stomach and support digestion. 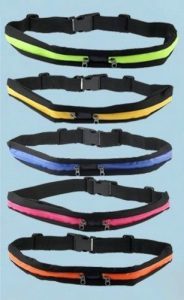 StrideBox 2-Pocket Sport Belt (red): Lightweight belt with 2 expandable, zippered pockets. Good stuff, right? Now, if you’ve been following along, you know that I’m actually not able to run right now. And since it would be a shame to let all this loot go to waste, I’ve decided to give it away! Just follow the instructions on the Rafflecopter below, and you’ll be entered to win the entire StrideBox and all of its contents. One person will win it all – so good luck! I tried the Blue Apron cooking box. I’ve never tried a subscription box, but this one looks great! No, I’ve never used one before. I have never done a subscription box this looks so interesting and I’ve only seen them for beauty products I like this one a ton! I’ve never tried a subscription box plan before. 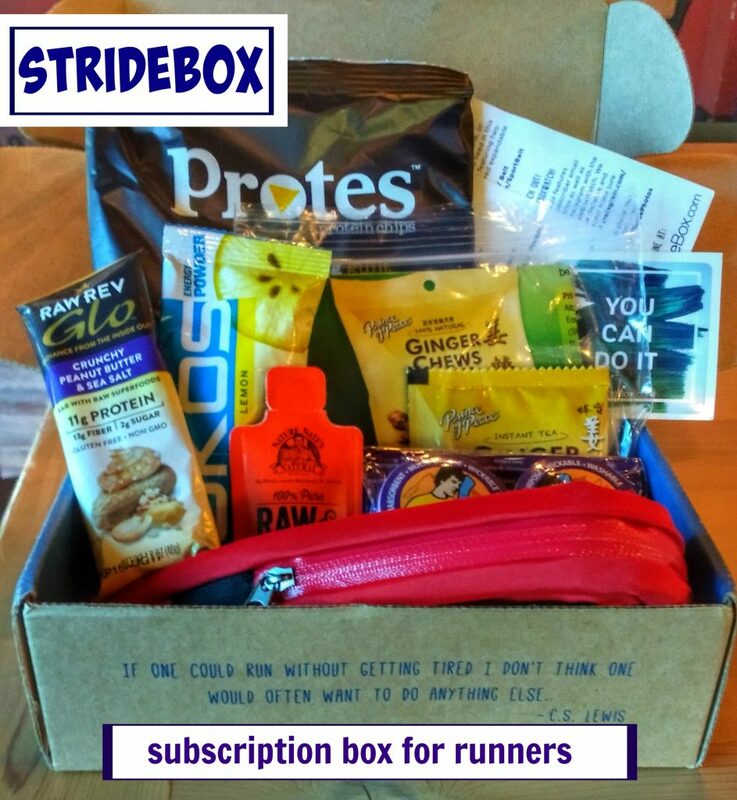 I had stridebox for a few months a couple years ago and really loved the monthly surprise! I subscribed to super gains pack for a while. Super super awesome boxes, if you’re at all into muscle gain I highly recommend. I am a fitness Youtuber and I review fitness subscription boxes! 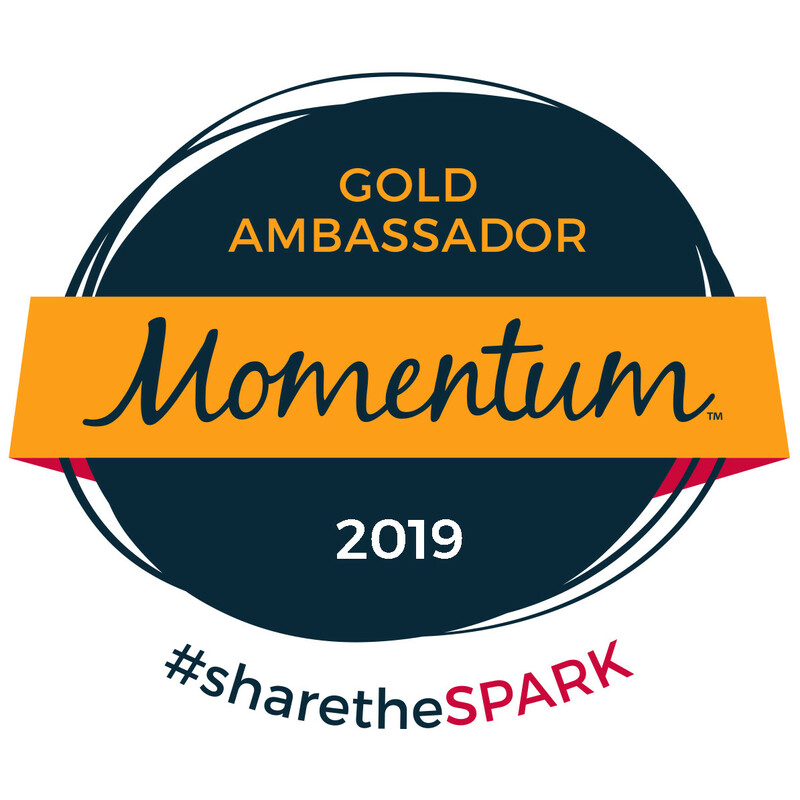 If selected as a winner, I will review this box and tag both of your pages across all my social media accounts so that my fit fam and followers can purchase as well as follow you both! I love it!! A stride box! Love the idea n I love running. How cool, so cool!!! A Stride in a box, love the idea and I love to run!!! Very cool! I keep looking at different option of these monthly boxes and this one looks uber cool! Thanks! 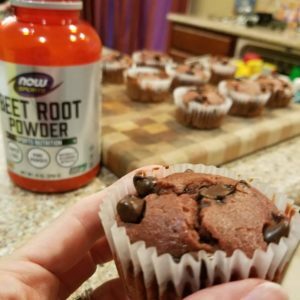 I’ve done Nature Box and I loved their snacks! They were a good choice every month and even my husband (he’s a picky eater) LOVED them! This one seems pretty cool. This is a great opportunity thank you!